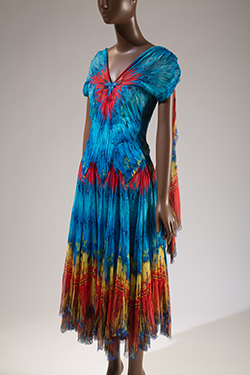 Force of Nature, a new exhibit part of the Museum at FIT, examines the complex relationship between fashion and the natural world. The exhibition reveals how nature has historically influenced fashion, and how fashion can serve as an indicator of society’s relationship with the natural world. In eighteenth century Europe, for example, nature became an object of renewed fascination as a result of overseas exploration. This fascination found expression in garments that featured depictions of exotic plants and animals. This exhibition is open now until November 18th, 2017. Explore the Force of Nature online resource. It offers additional information about science topics covered throughout the exhibition. This entry was posted in Bloggers, Creating, Fun On Campus, FYI, Melinda and tagged Blogger, FIT, Melinda, Museum at FIT, NYC on June 30, 2017 by Melinda. Now through July 8th, the Fashion Institute of Technology is proud to present the 2017 MFA in Illustration Visual Thesis Exhibition. This year, a diverse group of MFA candidates bound together by a passion for visual storytelling presents 13 unique visions. 13 artists, 13 voices, 13 stories. The exhibition will feature work by Cristy Road, Kendall Eddy, Robert Geronimo, Claude Hodelin, Hwayeon Im, Yueming LuLu Qu, Che Saitta-Zelterman, Karen Sheetz, Deepti Sunder, Mark Wang, Emma Wasielke, Ellie Ji Yang, and Necdet Yilmaz. Come support the Illustration MFA Exhibition and check it out at the Museum at FIT! This entry was posted in Academics, Art Major, Bloggers, Campus Life, Creating, FYI, Melinda and tagged Blogger, FIT, Illustration MFA, Melinda, Museum at FIT, NYC on June 15, 2017 by Melinda. The Museum at FIT is one of the best resources for design students here. There is almost always two exhibitions on view that can serve as inspiration for any personal or required projects. 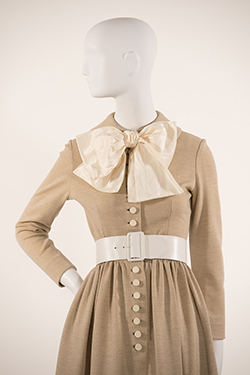 The exhibits can also be helpful for any student who is interested in learning more about fashion history. Currently the upstairs exhibit is called Exposed: A History of Lingerie (on view until November 15). The main exhibit, which is located below the main floor, is titled Dance & Fashion (on view until January 3). The exhibit starts its focus on the development of the “traditional” ballet outfit and continues through the Ballet Russes, modern and then contemporary dance. In the main lobby, there are benches surrounding a television that plays videos of designers, costumers and choreographers collaborating on a loop. It is very interesting to see where the lines of modern design, stage costume and the athleticism of the dancers intersect. The Museum at FIT also hosts two day symposiums every fall that bring together experts on the current exhibit. I personally love the symposiums, and although I sometimes have to miss some of the presentations because of classes, I try to stay for as many as possible. It is a completely free way to hear some of the most brilliant minds in fashion and cultural history. Some other resources the Museum provides are online exhibitions and (some of) their extensive archive is available to outside researchers as well as graduate AND undergraduate students. I will talk about the research opportunities in a future post, but the online exhibitions are a very valuable resource as well. It is not quite the same as seeing the exhibit in person, but the museum provides the academic information and pictures of the key garments that were on display. It is very helpful if your inspiration for a project relates to a past exhibit. Lastly, the Museum at FIT is a strong advocate for student work. While the main exhibition spaces are reserved for scholarly shows curated by professionals who work for the museum, there is a side gallery that almost exclusively features student work. Displays of faculty work rotate with the final projects of some of the graduating students. The Museum Studies graduate program also curates their exhibitions in this space. The Museum is open to the public and completely FREE! So be sure to stop by if you are visiting campus or if you live in the area. It is located on the corner of 27th street and 7th Avenue. This entry was posted in Campus Life, Emily, FIT Resources, Fun On Campus, Resources at FIT, Student Exhibitions and tagged advice, campus life, College, Emily, FIT, growth, Museum at FIT, museum exhibit, NYC on September 30, 2014 by Emily.